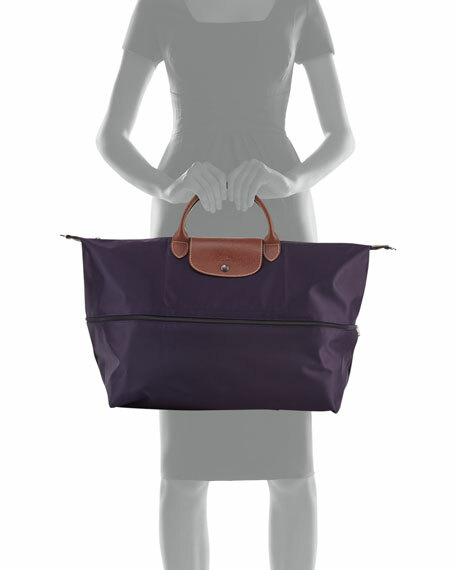 The Longchamp Le Pliage® expandable bag is perfect for travel. 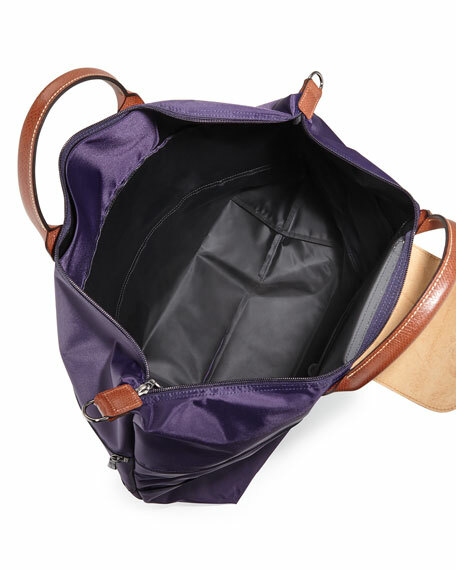 Use it to carry extra necessities on a day of wandering, then fold up for easy storage when you get home. 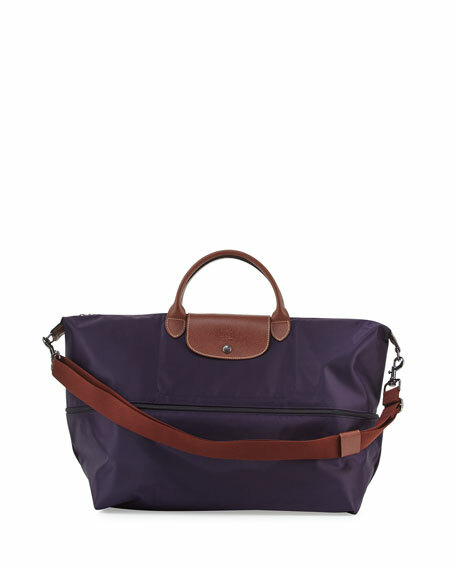 Longchamp nylon travel tote with embossed leather trim. Removable, adjustable shoulder strap, 14" drop. 13.8"H x 17.8"W x 9"D; weighs 1 lb. 8.8 oz. Item is 20.5"H when expanded. Elena Ghisellini two-tone pebbled leather travel bag. Whipstitched chain top handle with tassel ends. Removable, adjustable shoulder strap, 18" drop. Longchamp leather tote bag with silvertone hardware. Rolled top handles; 4.5" drop. Removable shoulder strap; 20" drop. Zip top closure with signature racehorse medallion. Snap flap front. Inside, logo jacquard lining; one zip, two slip pockets. 11"H x 12.5"W x 6"D. "Le Pliage Cuir" is imported. Nylon with brown leather details. Golden hardware. Tubular shoulder straps; 8 1/2" drop. Zip top with leather flap at center and logo snap closure. Inside, one open pocket. Can be folded into smaller pouch. 12.3"H x 11.8"W x 7.5"D. Imported.